Edifier’s recent acquisition of STAX has brought about a significant amount of attention among the many STAX and audiophile users. Concerns of the future of the STAX brand and product lines have been rightfully voiced and so with this letter I would like to provide to all a short explanation of our future plans and to ease any concerns as a result of Edifier’s acquisition of STAX. Offering the very best in design and application, Edifier today has announced that it has been awarded with another CES Innovations Design and Engineering Award for their brand new product, the ‘Spinnaker’ speaker system. Contestants for this award have been judged by a preeminent panel of independent industrial designers, engineers and members of the media to honour outstanding design and engineering excellence in the cutting-edge consumer electronics category - one of the 35 judged categories. 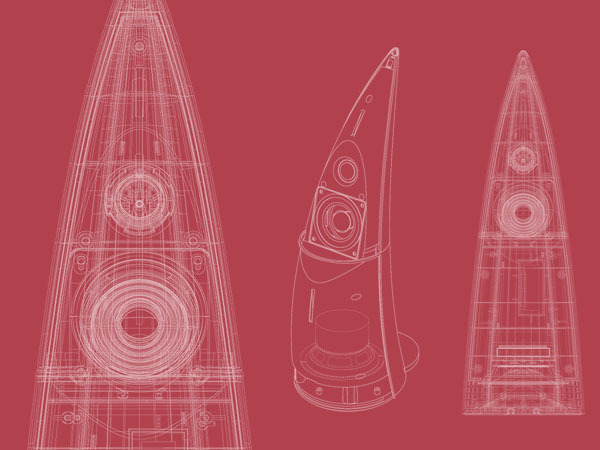 The Spinnaker is an iconic speaker, standing at 15 inches the shape is designed to project sound towards the end user with front facing tweeter and mid-range drivers, reinforced with and a downward firing subwoofer in each satellite to make this 2.0 speaker system an experience to hear and see. The Spinnaker is also Bluetooth enabled, making it a versatile product for home and office, free of the restraints of cables and applicable to pair with any Bluetooth enabled device. A wireless infrared remote controls the volume, track navigation and play/pause preferences effortlessly within a 10-metre radius. “To receive yet another prestigious award is a great honour for Edifier. The consumer electronics market is highly competitive and volatile, the award further strengthens the Edifier brand and our presence in the industry.” Said Managing Director, Anthony Wilkinson of Edifier International Ltd. The prestigious CES Innovations Design & Engineering awards have been recognizing achievements in product design and engineering since 1976. It is sponsored by the Consumer Electronics Association (CEA)®, the producer of the International Consumer Electronic Show, the world°s largest consumer technology trade show. The Edifier Spinnaker will be displayed at the 2012 International CES, which runs from January 10th – 13th 2012 in Las Vegas Nevada. The Innovations Design & Engineering showcase will feature honourees by product category in the Grand Lobby of the Las Vegas Convention Centre. Edifier who is also exhibiting at the International CES show 2012 will also have a live demo unit at their booth for a first-hand experience of the award-winning product. Edifier International specializes in the design and manufacturing of high-end audio electronics for both the consumer electronic and multimedia markets, providing a wide selection of products to suit each individuals taste and needs. Edifier International is renowned for its development and use of acoustic technology, superior manufacturing standards and uncompromised quality in design and production of audio speakers, with a passion for sound. Edifier is internationally recognized for awards around the world receiving in 2008, 2 awards for both the CES Innovations awards and iF Design Awards; in 2009, 2 RedDot Awards; in 2010, 1 CES Innovations, and RedDot Award; in 2011, 1 award for CES Innovations Award, iF Design Award and RedDot Award.